The ‘octopus’ shield from the tomb of the Old Lord. During my time as editor of CWA, I visited some of the world’s most exciting sites. Of these, perhaps the most extraordinary was that of the Lords of Sipán (CWA 35). Lying on the white-hot coastal strip between the Pacific Ocean and the Andes Mountains of northern Peru, it has it all: looming pyramids, unplundered gold-laden burials, and a lost civilisation. Added to this, the project represents a triumph of scientific archaeology, and has also been a major force of social good. It is, without doubt, one of the greatest archaeological discoveries of all time. 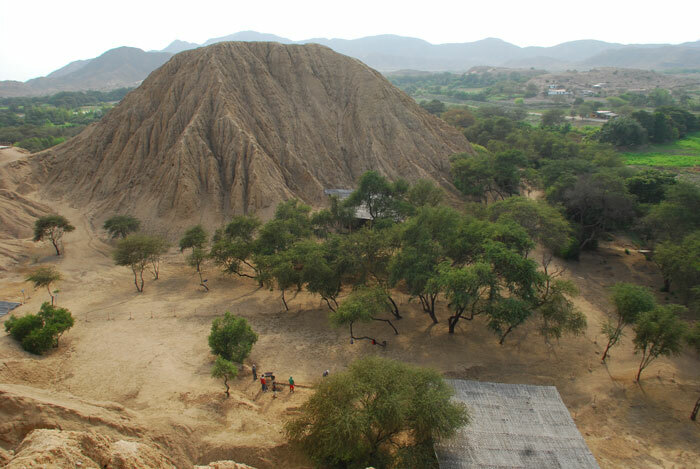 Dominated by two huge and badly eroded mud-brick pyramids (35m/115ft and 37m/121ft high), the site contains the tombs of a series of elite men dating to the Moche period (c.AD 1-700). The first tomb, discovered in 1987, contains the gold-clad body of the ‘First Lord’. He was interred with several other humans, plus an abundance of artefacts: necklaces, ornaments, and over a thousand pots. Since then, a further 13 unplundered tombs have been uncovered, most recently in 2007 when the team opened up the tomb of the 14th Lord of Sipán (or Priest of Sipán, as is now theorised). Over the past decade, in addition to continued excavations, two vast and internationally acclaimed site museums have been built to examine and accommodate the finds. A great deal of outreach work has also been done to benefit the impoverished locals – from the installation of running water to training in traditional crafts. These initiatives have caused a dramatic drop in the numbers of looting incidents (once a serious problem in this area – though, of course, it would be the dealers, and not the deprived locals, who would make the real money). But what does the next decade hold? Since the discovery of the Sipán site, some 400 other sites have been identified in the region, of which 14 are currently being examined. Among these is the 2007 discovery of an intact tomb at the otherwise-looted pyramid of Cao Viejo. It contained the perfectly preserved, tattooed body of an elite 4th-century AD Moche woman – the first of its kind. 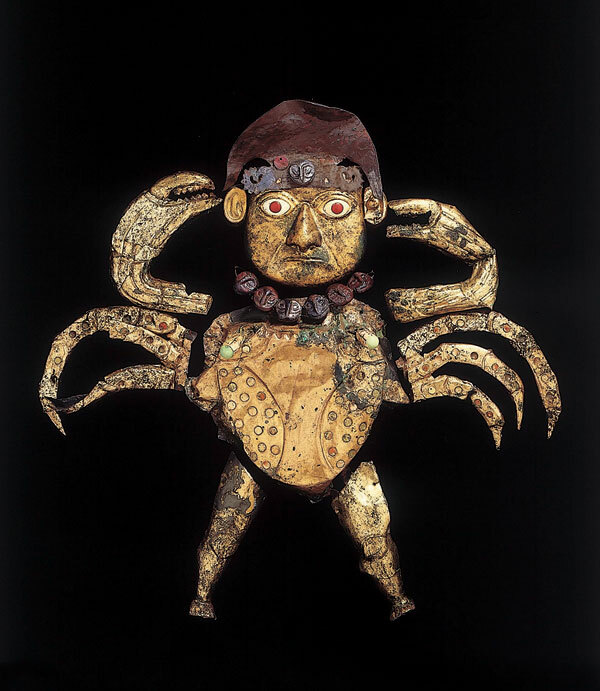 I therefore predict that, as a result of the careful archaeological focus on this area, yet more extraordinary and unexpected material will be uncovered at the Sipán site, and indeed throughout the region, by the time CWA celebrates its 20th birthday. Watch this space!